Phase 1 of this project started in April 2016 and completed in May 2017. 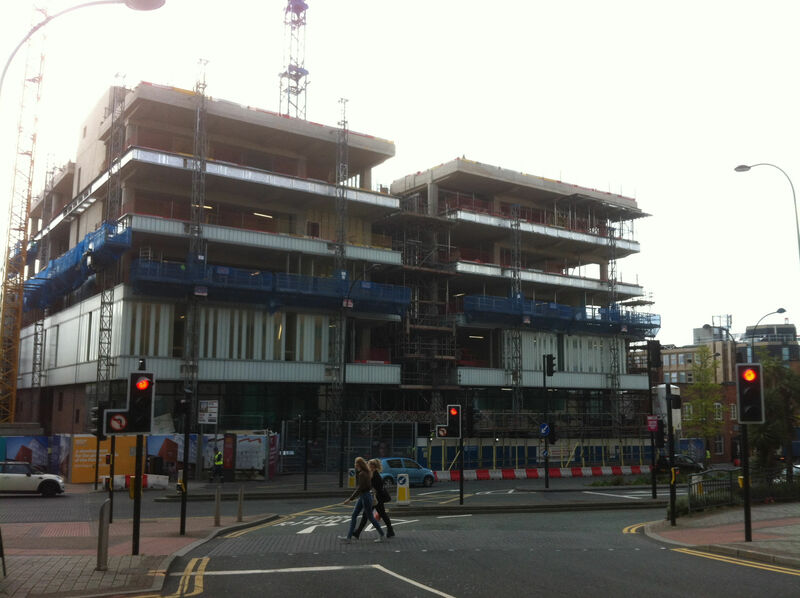 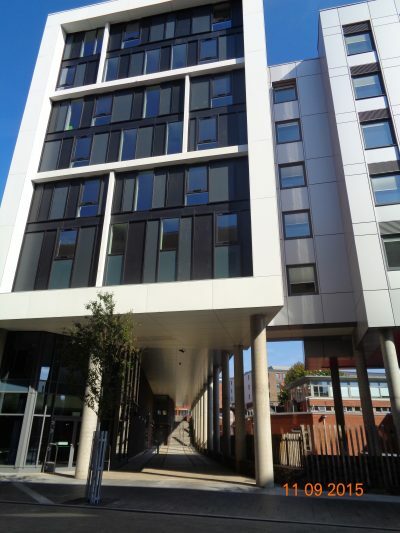 This £6.25m residential project provided 320 apartments over 3 interlinked blocks. 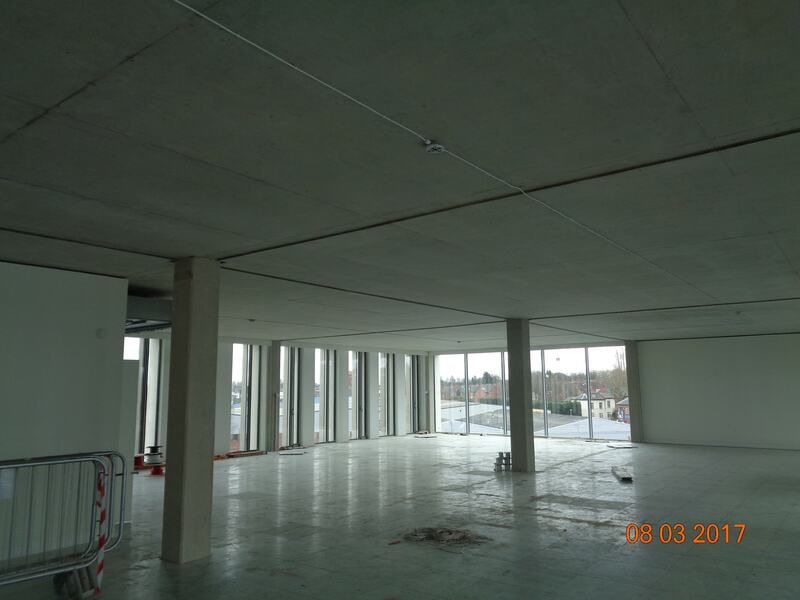 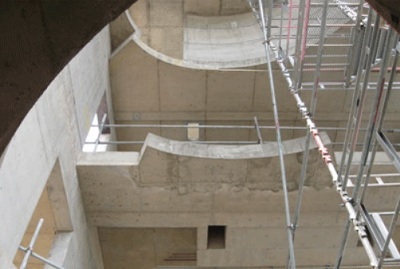 Using waterproof Concrete in the basement to this riverside project, the contract was delivered on time and on budget, much to the appreciation of the client, Beaumont Morgan Developments Ltd. Phase 2/3 of this project is now underway with a value to David Ashley Construction Ltd of over £10m and due for completion in May 2018. 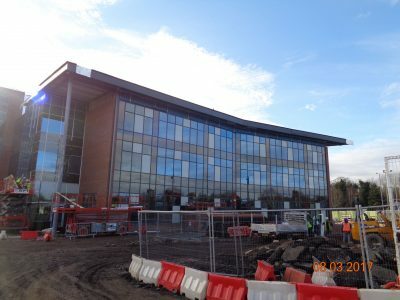 This project for Stepnell Construction Ltd was completed in the summer of 2016 and attached a contract value of £1.4m. 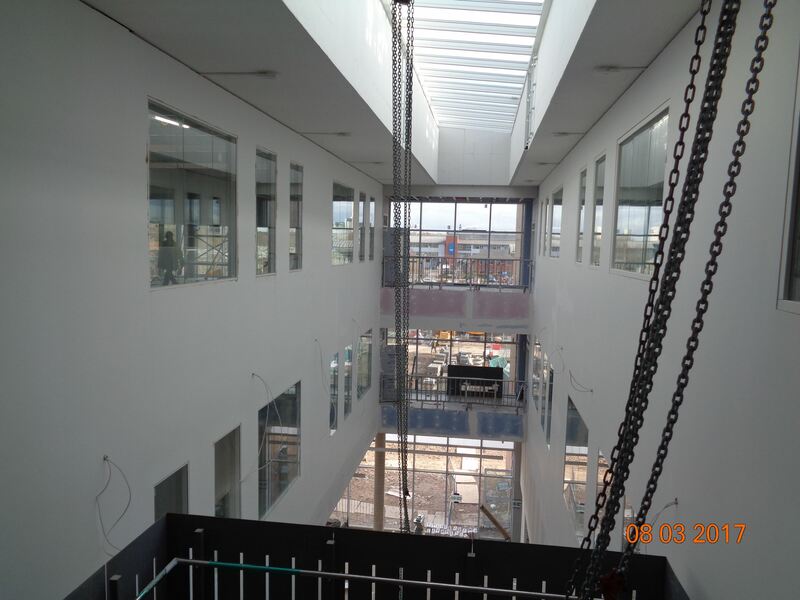 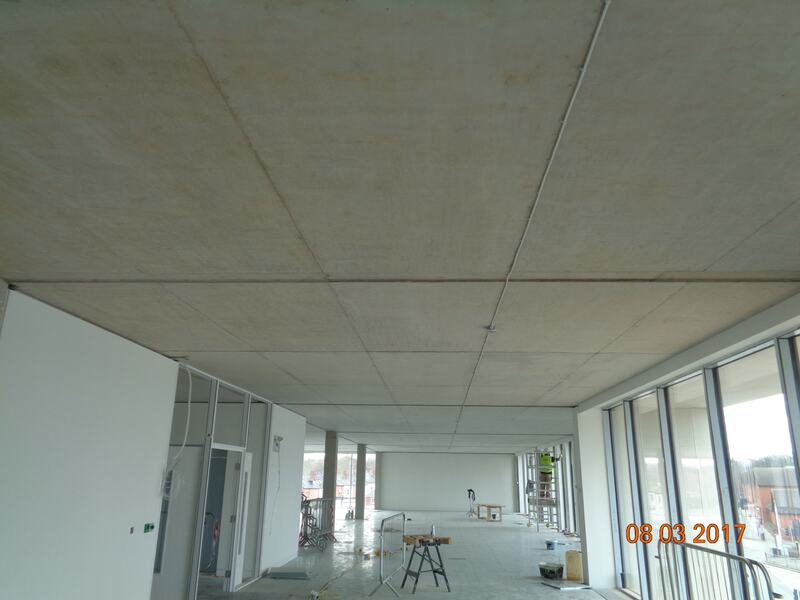 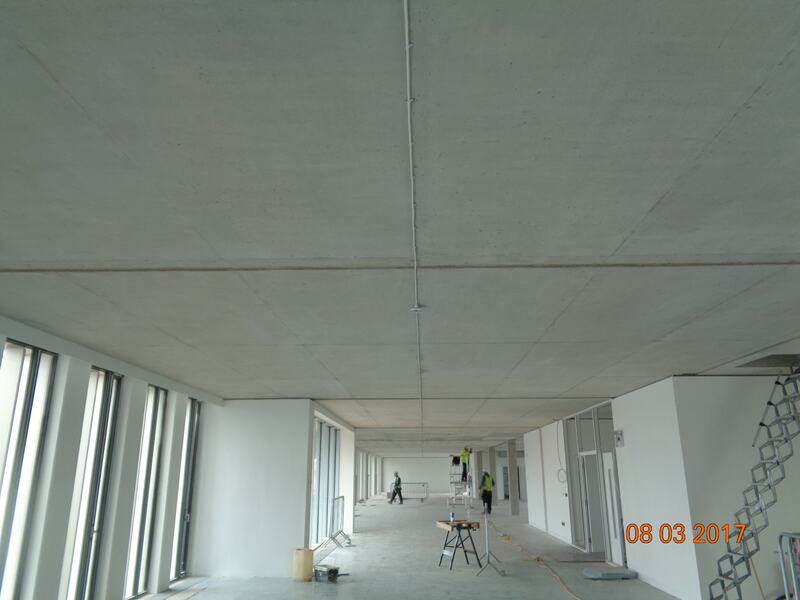 The three storey frame and associated groundworks were carried out by ourselves within programme and is a great example of the high level of finish we can achieve (most of the soffits were exposed). 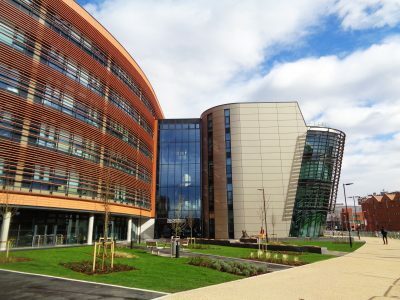 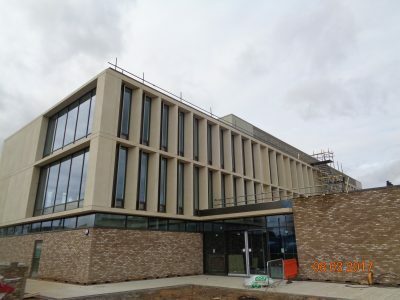 This Science Technology Building for Clegg Construction Ltd took advantage of our early design input and as a result shaved weeks off the initial construction programme. 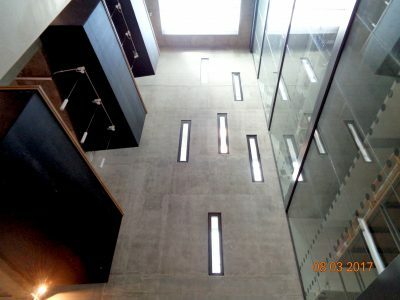 Completed in September 16, the building is being considered for numerous awards for both design and workmanship. 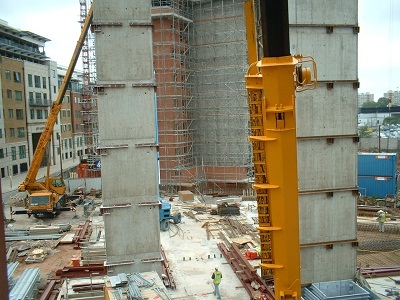 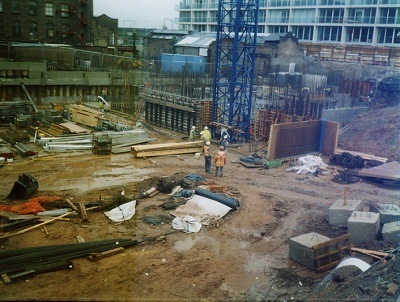 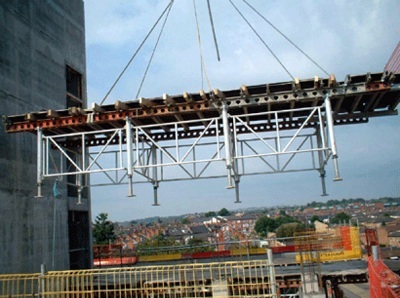 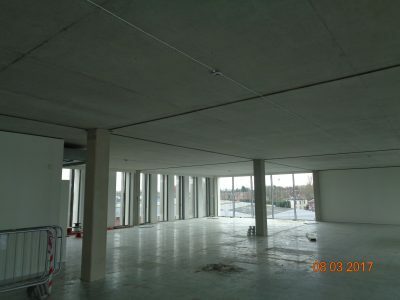 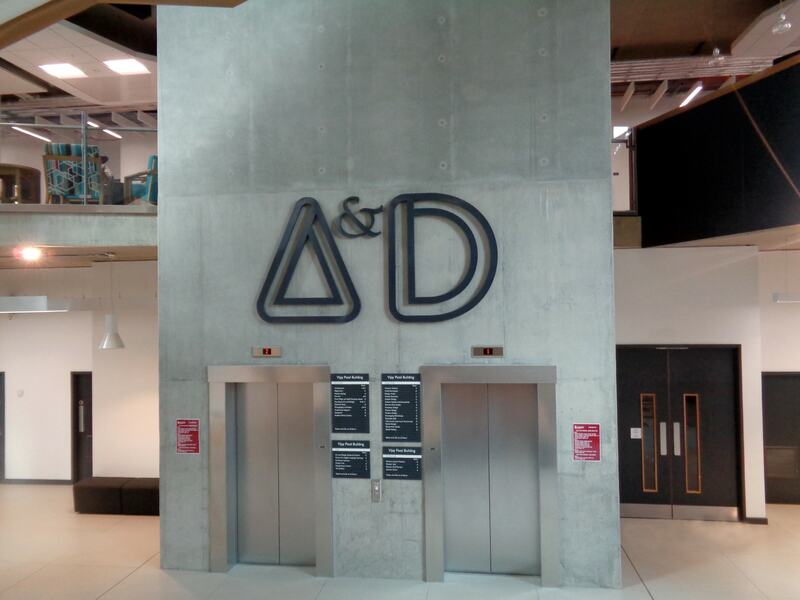 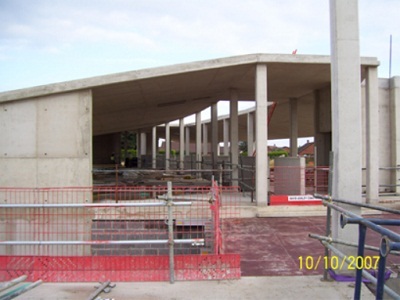 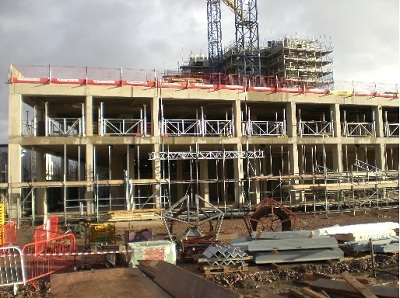 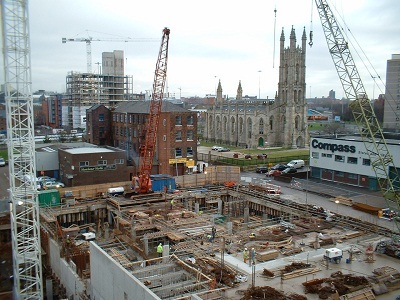 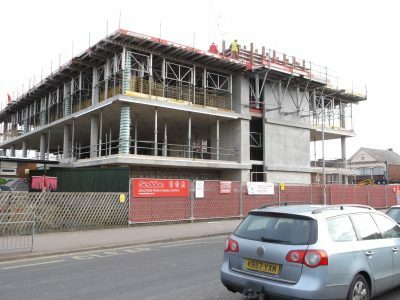 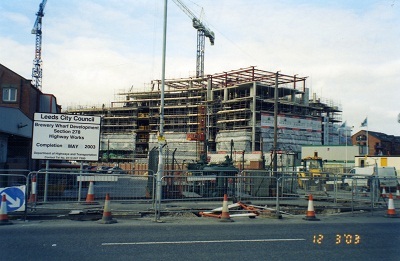 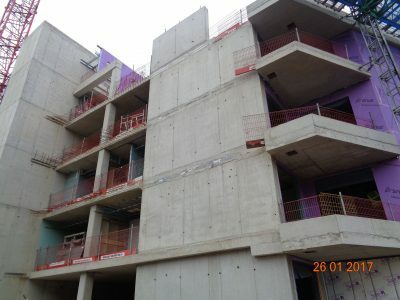 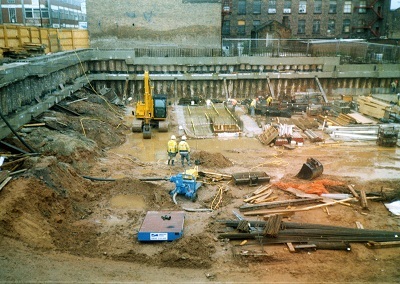 David Ashley Construction Ltd. supplied concrete, rebar, formwork and falsework as well as supply of cranage and pumps. 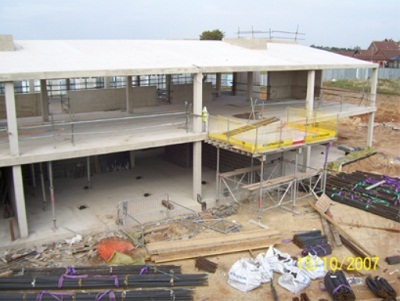 This University learning block was carried out for Balfour Beatty over a 36 week programme. 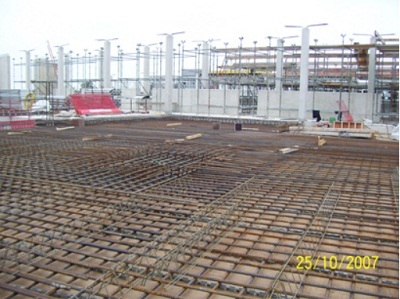 See examples of large raked columns. 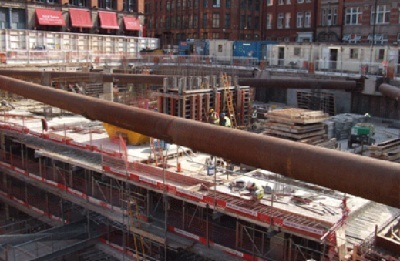 David Ashley Construction Ltd. supplied concrete, rebar, formwork and falsework as well as supply of cranage and pumps. 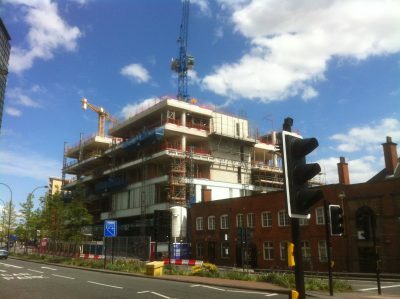 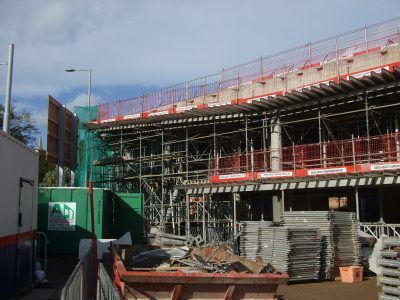 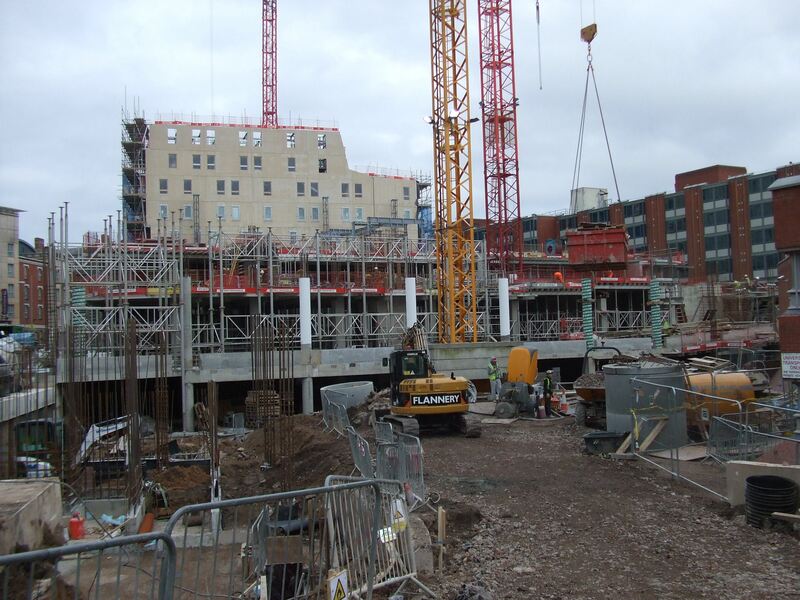 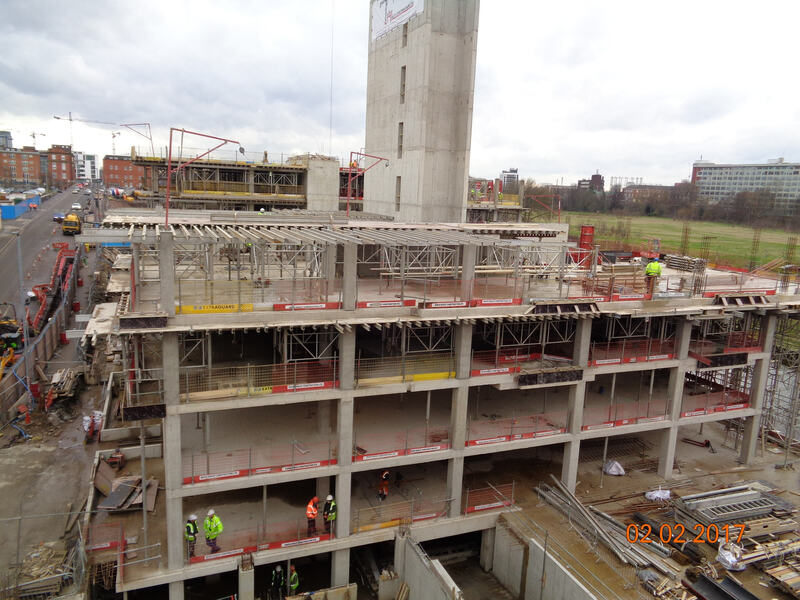 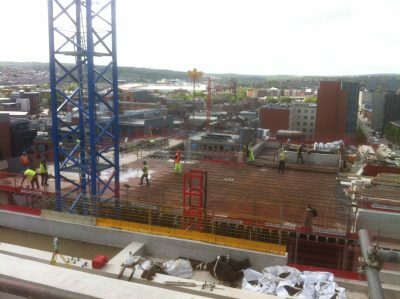 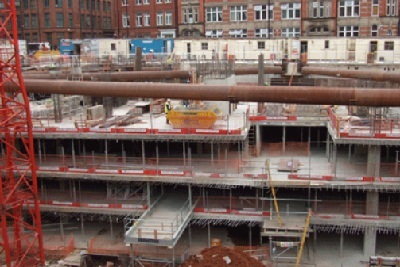 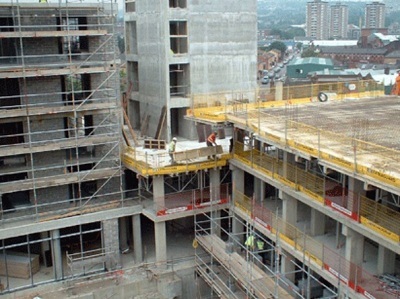 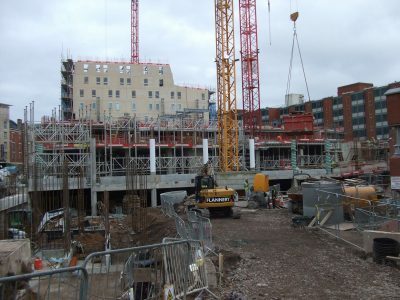 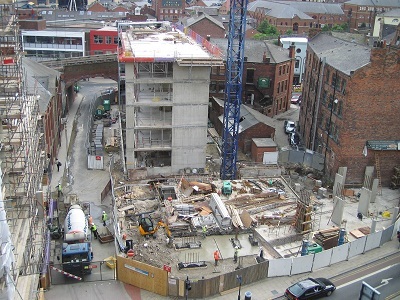 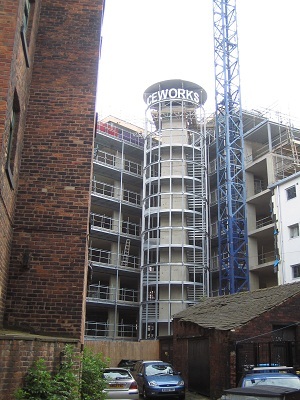 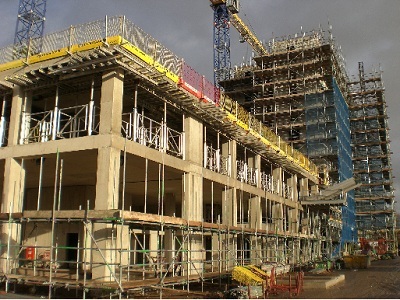 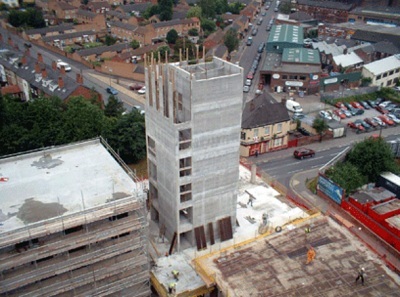 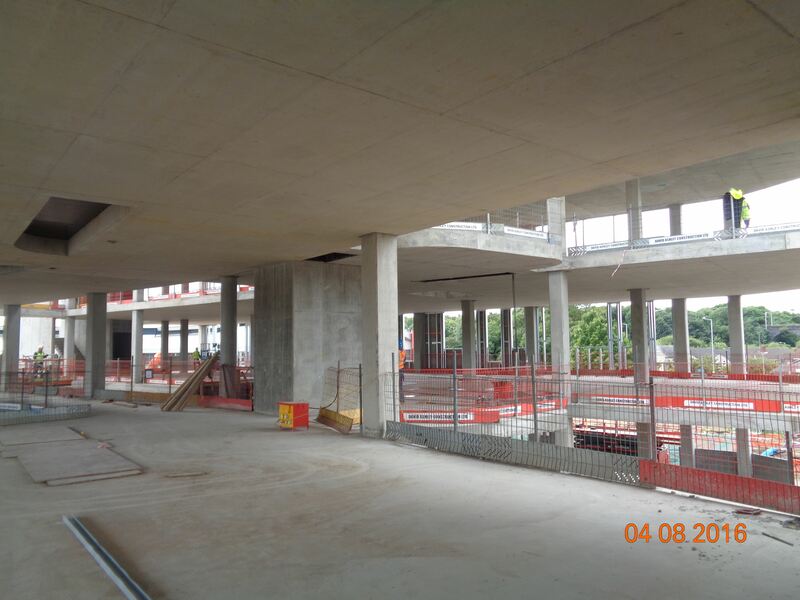 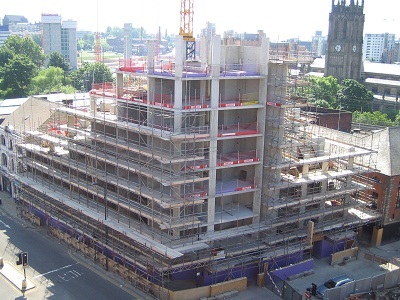 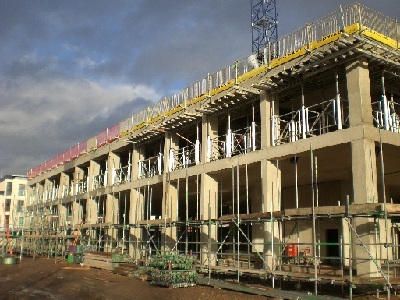 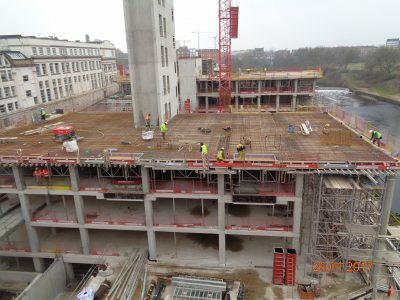 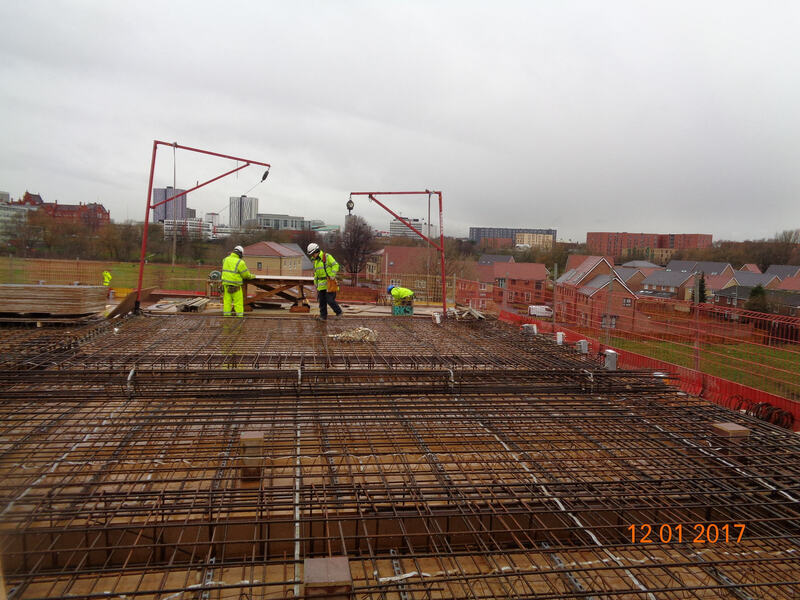 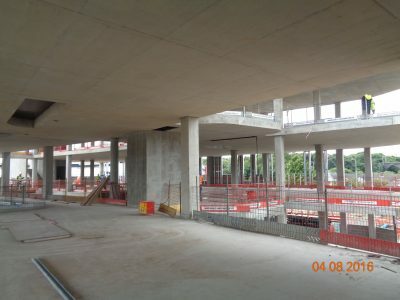 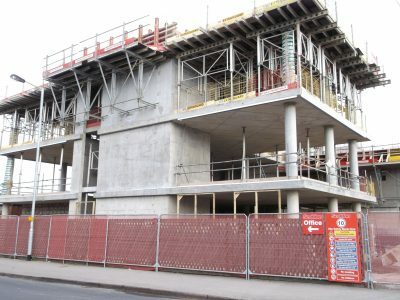 Creating new student accommodation for Nottingham Trent University through Vinci Construction Ltd.
David Ashley Construction Ltd. supplied concrete, rebar, formwork and falsework as well as supply of cranage and pumps. 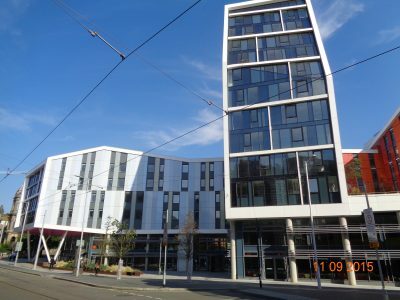 This student union building was for Sheffield Hallam University and provided the typical city centre challenges for movement, cranage and logistics – all of which were overcome through meticulous planning and communication. 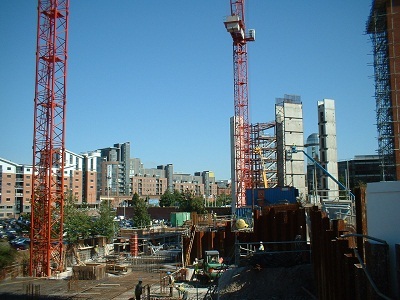 David Ashley Construction Ltd. supplied concrete, rebar, formwork and falsework as well as supply of cranage and pumps. 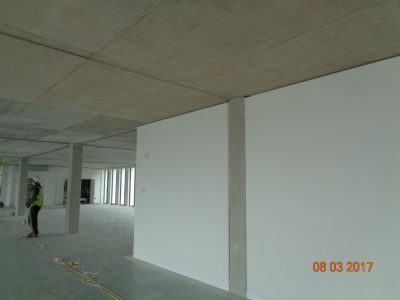 Comprising of circular columns, walls and slabs. 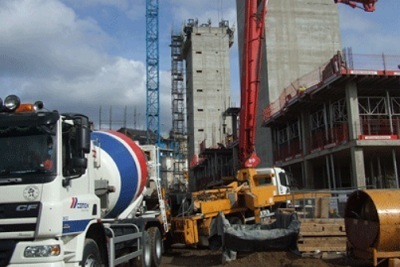 David Ashley Construction Ltd. supplied concrete, rebar, formwork and falsework as well as supply of cranage and pumps. 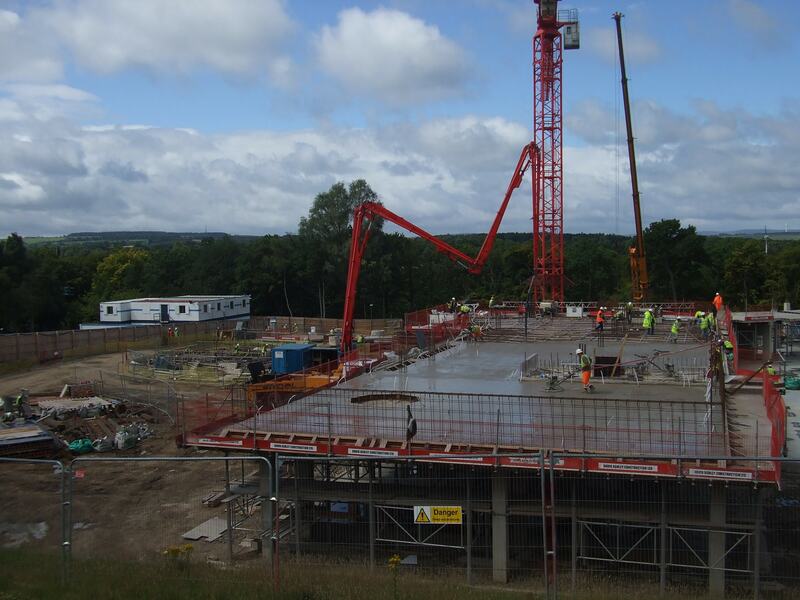 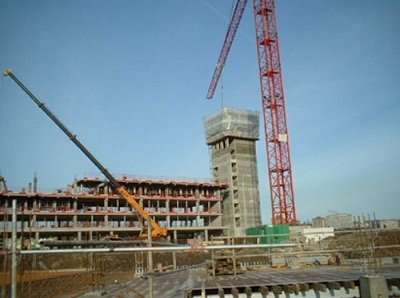 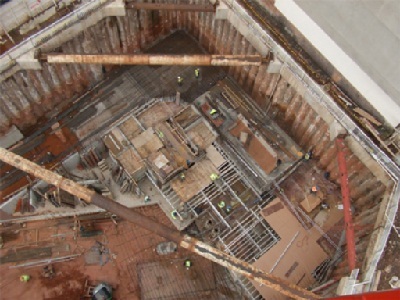 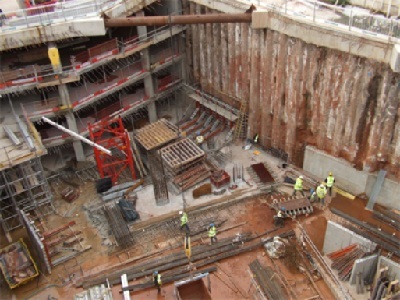 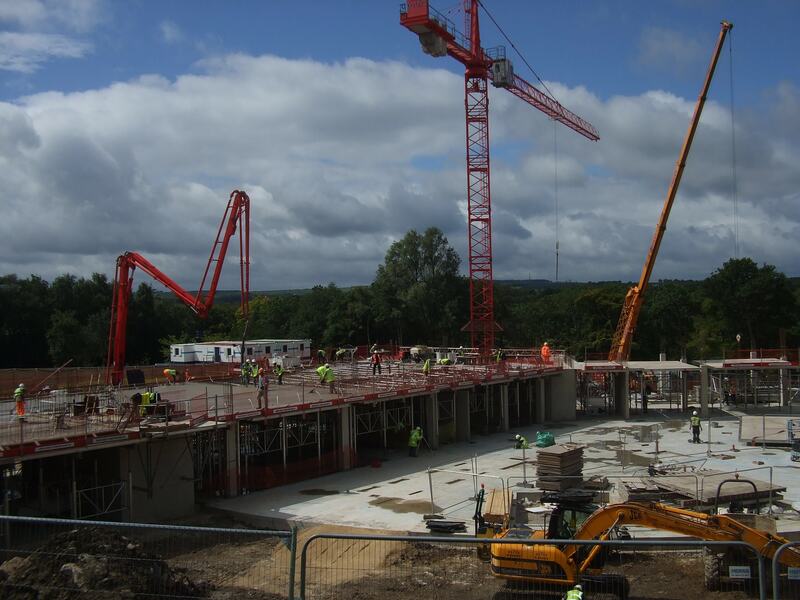 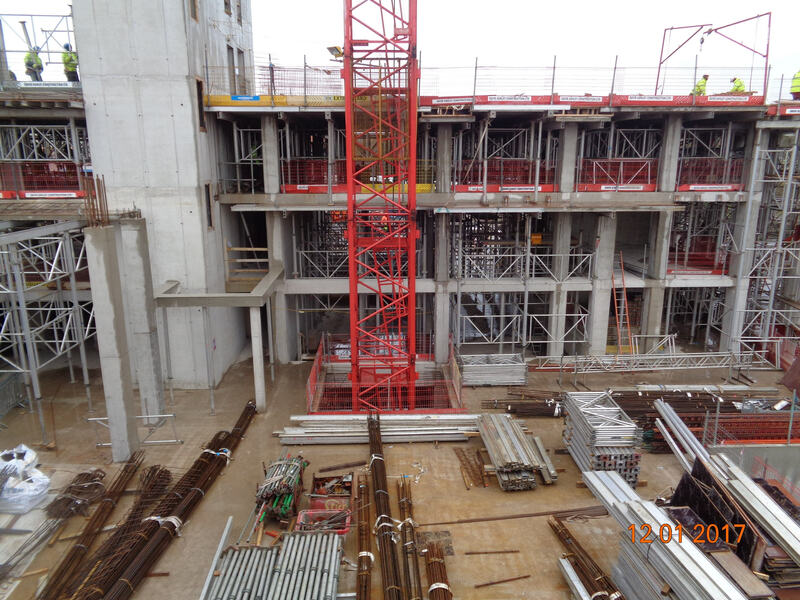 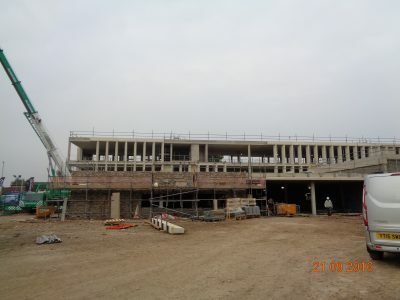 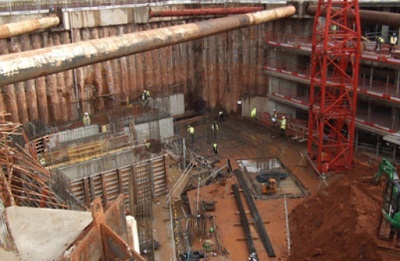 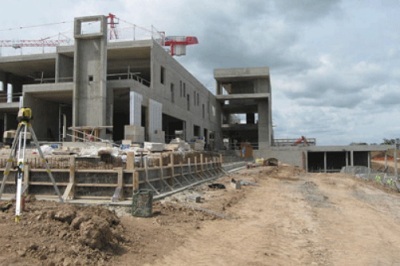 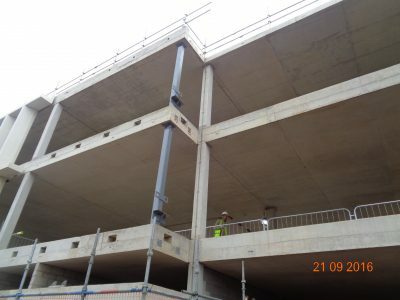 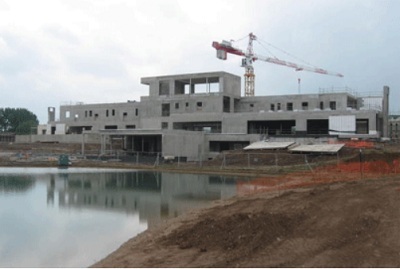 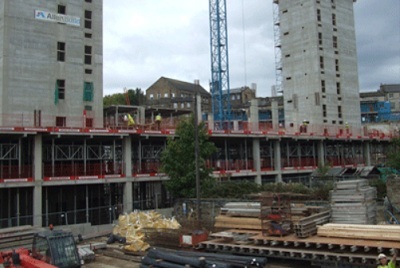 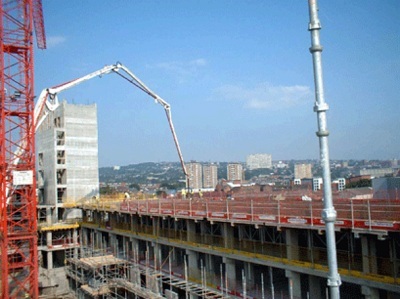 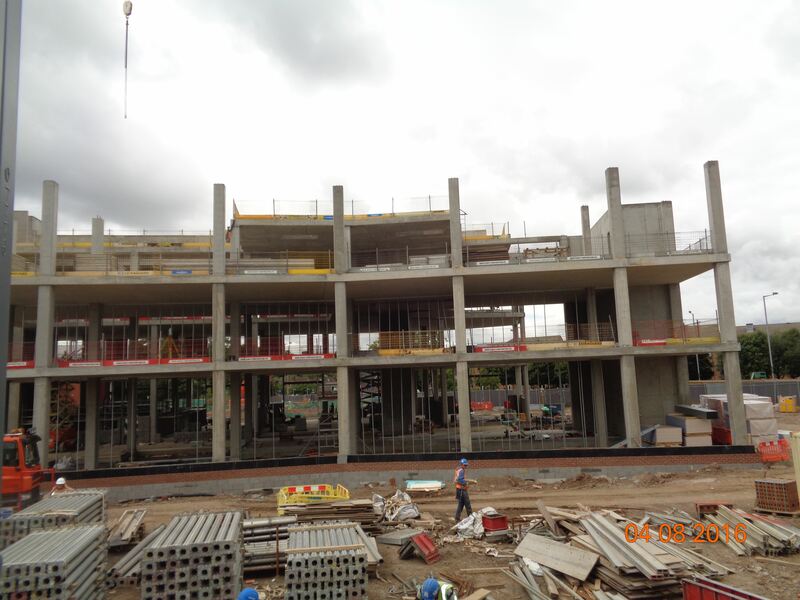 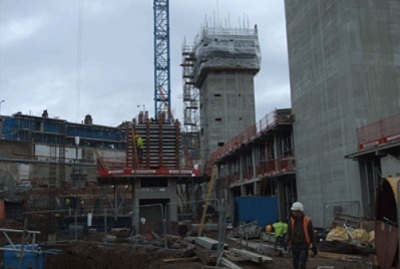 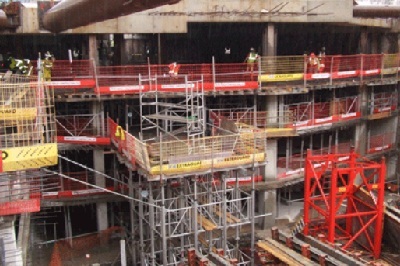 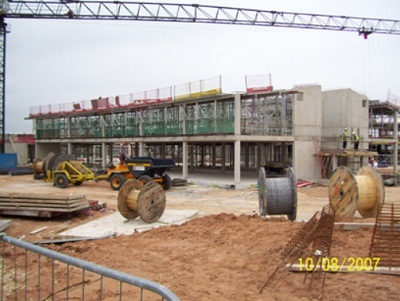 DACL supplied concrete, rebar, formwork and falsework as well as supply of cranage and pumps. 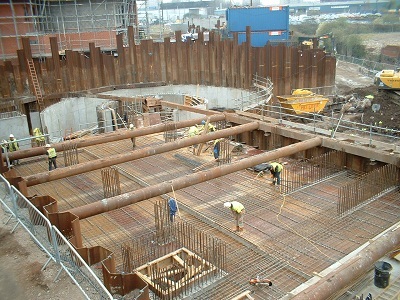 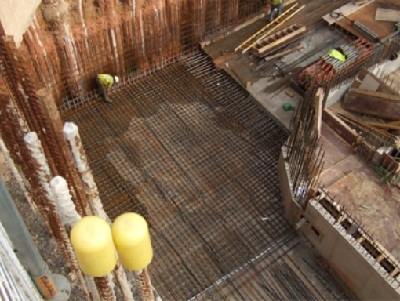 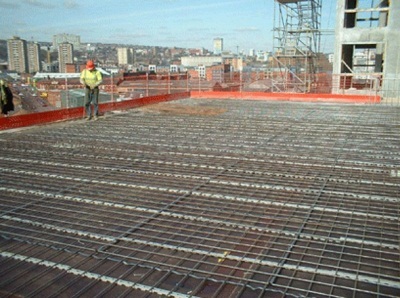 DACL supply concrete, reinforcement, formwork and falsework as well as supply of cranage and pumps. 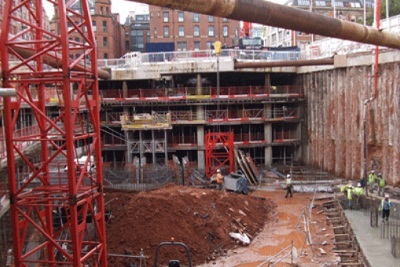 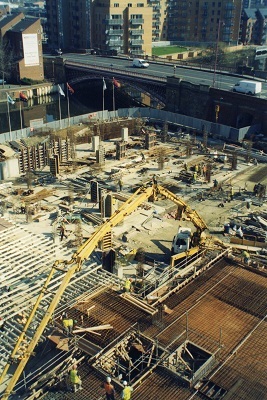 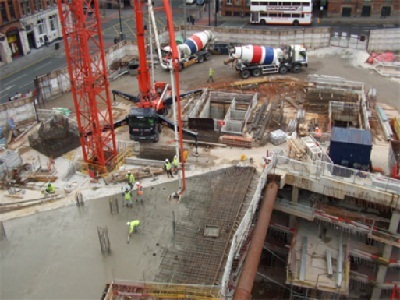 DACL supplied groundworks, drainage, concrete, rebar, falsework and formwork as well as supply of cranage and pumps. 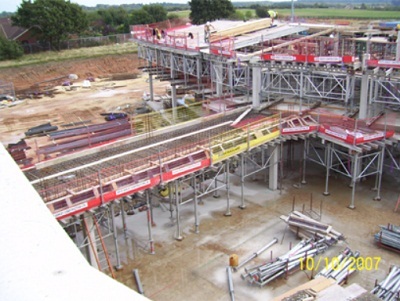 DACL supplied groundworks, drainage, concrete, rebar, formwork and falsework as well as supply of cranage and pumps. 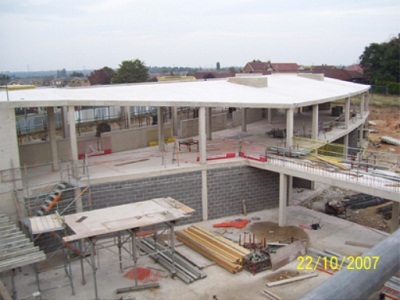 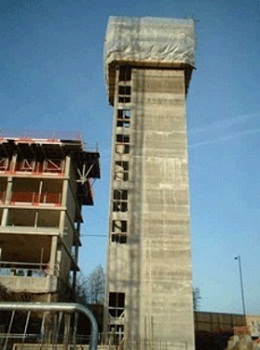 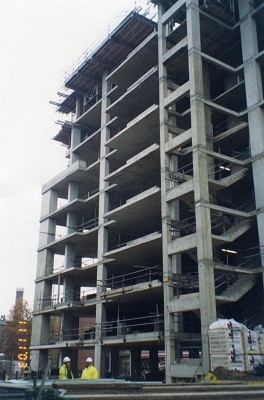 constructed with Slipform – 5 Levels. 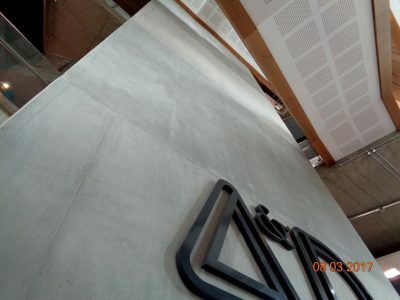 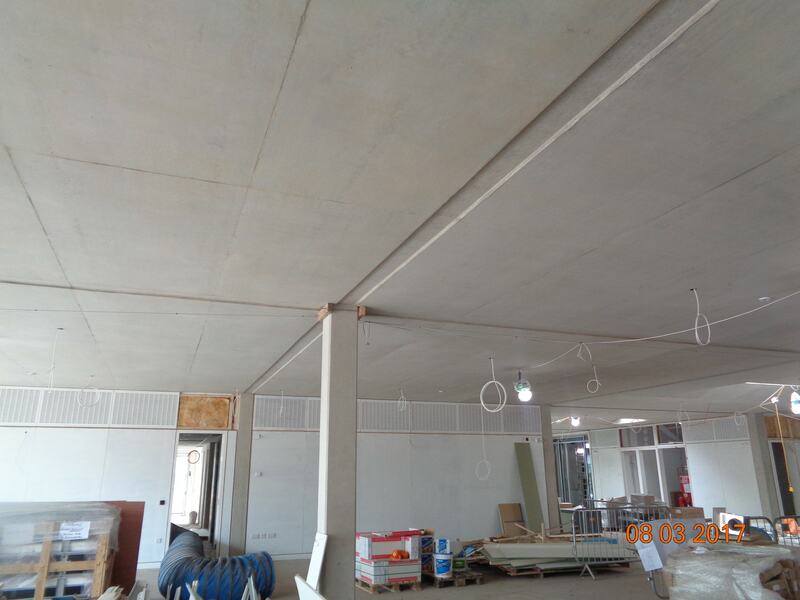 DACL supplied concrete, rebar, formwork and falsework. 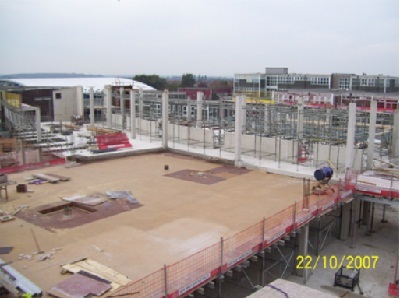 Duration split into phases over 2 years. 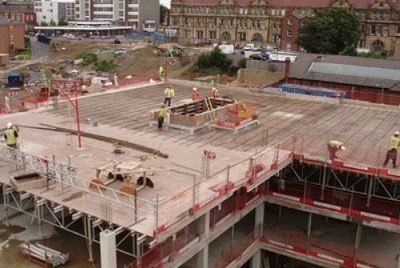 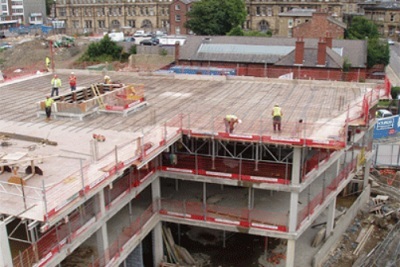 DACL supplied groundworks, drainage, concrete, rebar, formwork and falsework. 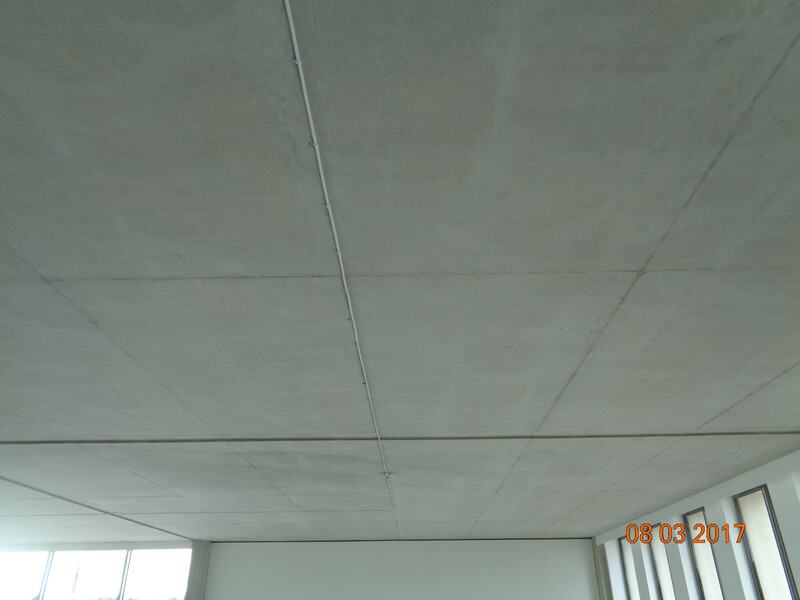 – All Exposed Concrete Finish. 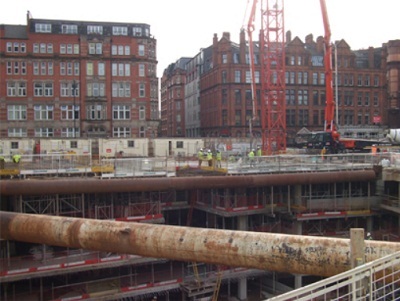 DACL supplied drainage, concrete, rebar, formwork and falsework as well as supply of cranage and pumps.